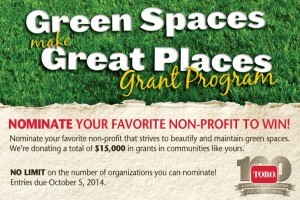 The Toro Co. brought back its “Green Spaces Makes Great Places” grant program for a second year. 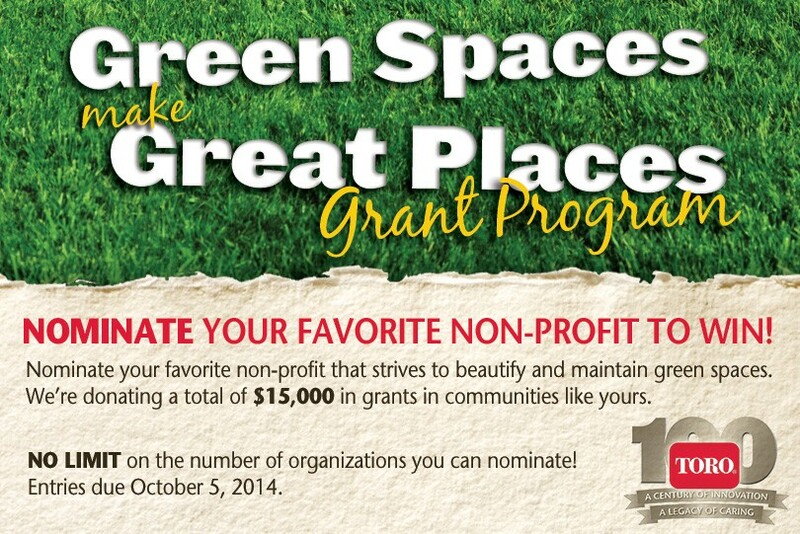 The program awards a total of $15,000 to communities and nonprofits nationwide to go toward landscape improvements. Lincolnshire-Prairie View School District 103 won the top prize in last year’s “Green Spaces Make Great Places” grant program and used its $7,000 grant to renovate the landscape and hardscape surrounding the playground at Laura B. Sprague Elementary School in Lincolnshire, Ill. The public can nominate nonprofit organizations or government entities like state or city parks, recreation divisions, conservation divisions and public educational entities. Online entries will be accepted through Oct. 5. Thereafter, a panel of Toro representatives will evaluate and select four finalists that then will be tasked with creating and submitting a brief video detailing their organization’s mission by Oct. 26. The grant awards will be determined by a public vote from Oct. 31 to Nov. 2 via Facebook. The first-place organization will receive $7,000, the second-place organization will be awarded $4,000 and the remaining two organizations will be given $2,000 each. Winners will be announced Nov. 26.